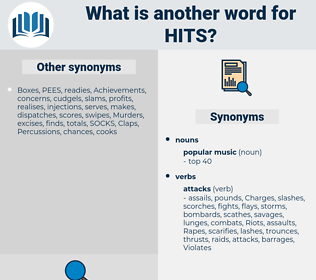 What is another word for hits? historic, fights, visit, visits, accessibility, hurting, availability, devastates, attainment, IMPACTS, accessing, targeting, threatens, visiting, accessible, criticizing, museum, devastate, admission, shipment, shipments, expedition, Expeditions, shipping, Harming, criticized, stick, Into, overpowers, shoots, visitor, visitors, touche, sets, questions, achieve, invades, informs, register, registers, reports, inform, assails, tourist, delivers, condemns, notches, directs, harm, harms, recorded, holds, coinage, extends, trip, accessed, tour, sting, bite, to, Movements, target, targets, responds, site, storms, reacts, tops, defeats, ravage, warmer, pisa, ali, jolts, shocks, sends, entry, access, arrow, Floods, scores, rips, per, aims, sweep, sweeps, Stu, builds, rebukes, captures, button, swing, near, parks, denounce, key, swamps, voyages, past, overrun, burn, raps, pays, meets, deals, park, V, won, sees, gets, makes, striking. accomplishments, commendations, bits, consulations, investigations, examinations, assassinations, consultation, Consultations, correspondences, appellations, inscriptions, triumphs, explorations, notations, commonalities, sightings, dispatches, airstrikes, Infections, verifications, brushstrokes, indications, inspections, connections, repercussions, things, coincidences, beatings, informals, invitations, similarities, accomplished, canisters, attained, visiteurs, mentions, revolutions, admissions, endorsements, visitations, consignments, person-visits, cross-references, worlds, effects, times, objectives, instances, Causalities, consequences, consults, visites, transfers, travellers, Appointments, deliverables, particulars, charts, consultancies, shortcuts, compositions, credits, inputs, connexions, referendums, attendances, jobs, locations, Respondents, contracting, throws, strengths, occasions, tricks, consult, citations, pertains, chances, listings, checks, entrants, chansons, damages, builets, contrats, expressions, launchings, impactors, petitions, Homicides, sidelines, PATHWAYS, entrances, connectors, inquires, outcalls, complaints, individuals, travelers, contacts, performances, inlets, tourists, collisions, outbursts, references, punches, moves, Discoveries, incidents, findings, markings, applications, pilgrims, Travels, viewers, mappings, Injuries, Casualties, intakes, approaches, inflows, contracts, check-ups, encounters, exchanges, innings, blows, arrivals, marbles, outcomes, suites, fucks, Referrals, suspected, hosts, letters, wordings, FACETS, chimes, attendees, bullets, witnesses, clicks, spectators, statements, audiences, stops, flicks, trips, Epidemics, showings, linkages, tours, gateways, rosters, tubes, clinics, outputs, piils, Frequencies, levels, lost, launches, rockets, assaults, out-calls, bouts, luck, decreases, balls, Inquiries, dosages, leases, overlaps, matches, Surveys, enquiries, guests, Missions, Hearings, gunshots, dice, Motions, events, cruises, Seizures, ordres, sequences, callers, pieces, Entries, appeals, files, responses, names, NOMS, tries, fingers, Melodies, gates, phrases, Queries, declines, suspects, links, Strokes, vials, pills, bounds, burns, lyrics, results, dozens, bumps, slaps, accesses, apples, doses, banks, Replies, Buttons, slips, kills, slides, bursts, swings, Slugs, oldies, asks, places, wounded, Prices, unsubs, eggs, busts, rounds, Goals, Keys, orders, Clips, marks, bales, answers, pipes, MEDS, legs, francs, firings, demands, dips, cases, peaks, finds, coups, Houses, hands, bells, request, requests, Persons, bucks, pleas, tunes, counts, users, rods, birds, claims, sounds, Maps, spans, calls, 303, fold, visit, visits, accessibility, drops, Guns, IMPACTS, shipments, holes, Expeditions, shoots, visitors, questions, registers, reports, targets, storms, Cas, jolts, shocks, access, scores, per, sweeps, parks, voyages, deals. 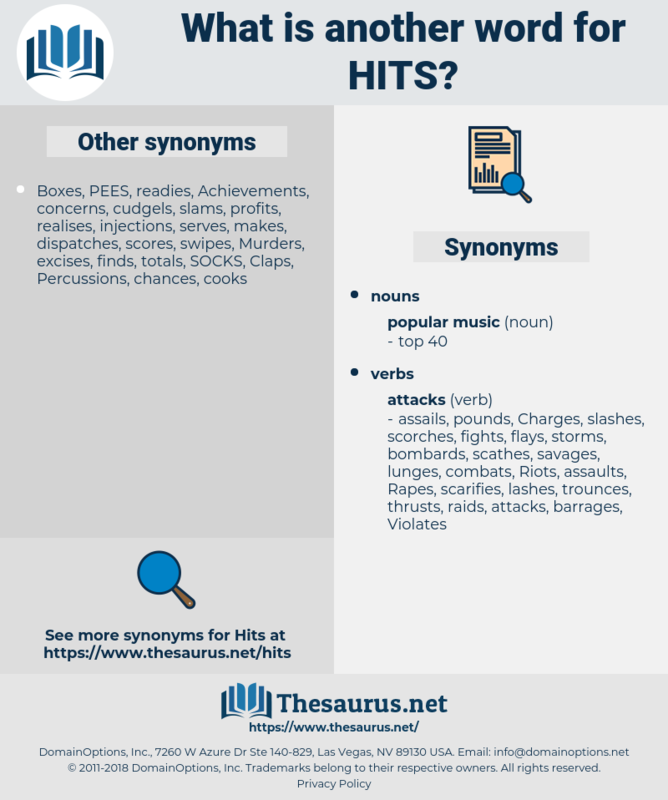 highlights, catches, prohibits, hinders, correspondence, supports, intervenes, interfaces, commits, enlightens, sensitivity, exists, afflicts, Permits, impact, illuminates, influences, prefers, strives, victimizes, penetrates, accomplishes, attains, penalises, experiences, slaughters, infects, assists, struggles, sticks, detonates, invests, imposes, endangers, transcends, disrupts, acknowledges, undermines, intrudes, impinges, flirts, straddles, Leaves, permeates, confronts, generates, alters, impairs, whip, removes, hampers, performance, allocates, concentrates, higher, suffers, helps, pushes, recording, starts, assigns, outcome, discusses, overcomes, enter, enters, collects, lists, concerns, tells, confirms, prompts, flutters, skirts, stretches, prevails, consultation, Consultations, qualifies, explains, plagues, notifies, breaks, underlies, involves, includes, clarifies, develops, operates, Kicks, connects, concludes, joins, tackles, guides, Drives, undertakes, climbs, erupts, stands, fulfills, receives, Addresses, realizes, exceeds, clings, shuffles, Towards, embraces, serves, endorses, encompasses, cashes, pummels, fulfils, pervades, beatings, succeeds, relates, erodes, response, emerges, flies, manages, bats, crashes, arises, belongs, ends, totals, enables, adopts, result, argues, offers, favours, assumes, consults, refers, deliverables, brings, becomes, occupies, Aches, rally, Rallies, nears, Gains, seals, up, devotes, applies, compels, occurs, notes, Chops, happens, lies, closes, Gives, crosses, pertains, amounts, surges, grows, Faces, rolls, leads, Comes, rise, rose, rises, damages, turns, Les, allows, POPS, accounts, inquires, stab, stabs, causes, punches, moves, findings, goes, leaps, meeting, Met, spends, encounters, outcomes, covers, letters, chimes, fires, raises, lets, accuses, Bears, Backs, jumps, clicks, flows, logs, trips, tours, lays, soars, outputs, takes, draws, matches, Focuses, falls, cuts, runs, responses, Strokes, results, Replies, kills, swings, asks, marks, answers, finds, Does, fights, name, calls, visits, drops, devastates, IMPACTS, visiting, shoots, sets, questions, invades, informs, registers, reports, assails, delivers, directs, harms, holds, extends, to, targets, responds, reacts, tops, defeats, ali, jolts, sends, rips, aims, sweep, sweeps, meets, deals, sees, gets, makes. A man should be able to bear that kind of thing; but this hits one all round.
" Don't you remember," Birsky went on, " when he hits the Schlag there yesterday, which injured Golnik and Bogin, he says to us he seen it all the time where they was standing and he was meaning to hit 'em with the ball?"